BIG NEWS: Microsoft gaat samen met Rapid Circle ‘Technical Consultants’ opleiden! In een 8 weken durend traject haal jij je Microsoft Azure certificaten en wordt je klaargestoomd om bij Rapid Circle aan de slag te gaan! De markt van de ‘Cloud’ is razendsnel aan het veranderen, waardoor bedrijven steeds op zoek zijn naar mensen die de juiste skills bezitten om aan deze veranderende vraag te kunnen voldoen. 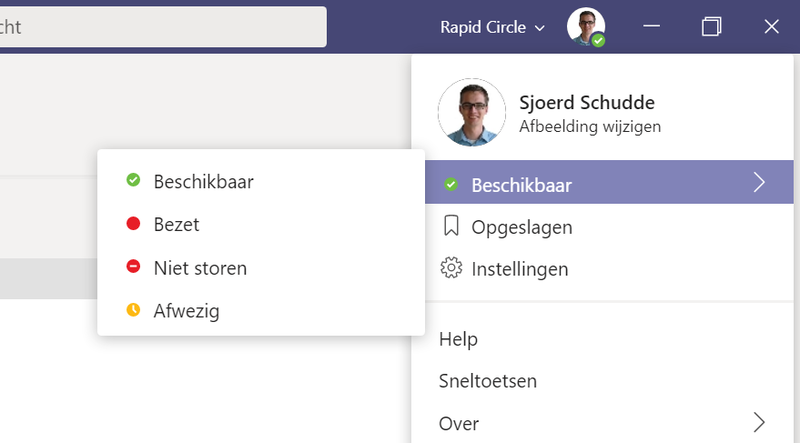 Om deze nieuwste technologie op een professionele manier in te zetten zijn er veel nieuwe collega’s nodig bij Rapid Circle, één van de business partners van Microsoft. We willen mensen de kans geven om een carrière te starten in de Cloud technologie van Microsoft. Samen met Microsoft bieden wij een Cloud-opleiding aan waarbij wij en Microsoft investeren in jouw nieuwe toekomst! Wil jij opgeleid worden tot ‘Technical Consultant?’ Samen met Microsoft starten wij een 8 weken durend traject waarin jij je Microsoft Azure certificaten haalt. Zo word je klaargestoomd om bij Rapid Circle aan de slag te gaan! WAT DE ROL VAN TECHNICAL CONSULTANT INHOUDT?! Onze klanten vanaf het prille begin helpen bij de overstap naar de Cloud en/of Moderne Werkplek. Met andere consultants of accountmanagers mee op gesprek bij de klant om te borgen dat wij de vraag volledig begrijpen. Na deze gesprekken kan je niet wachten om aan de slag te gaan met het ontwerpen van de IT-architectuur terwijl je tegelijk bij andere projecten opkomende technische problemen helpt op te lossen. 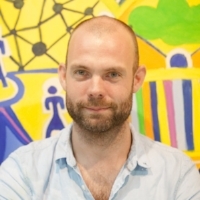 Als jij jezelf herkent in dit stuk, zou het kunnen zijn dat jij onze nieuwe Technische Consultant gaat worden. 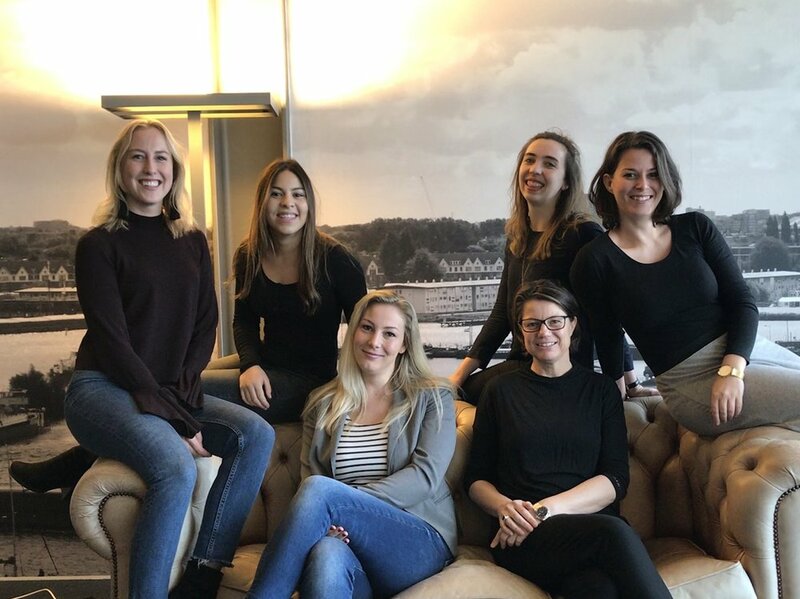 Eén van onze teams is namelijk op zoek naar een ervaren, communicatief vaardige, maar zéker zeer technisch onderlegde consultant. Ben jij enthousiast? Solliciteer dan nu via deze link! Komt u naar de Zorg & ICT beurs van 12-14 maart? Schrijf je dan in voor de presentatie van onze collega Wilco Turnhout over de Research omgeving die we Radboudumc hebben mogen helpen ontwikkelen. Klik hier voor de inschrijflink. Gebaseerd op 3 jaar ervaring met een vergelijkbaar platform, realiseerde Radboudumc, samen met Rapid Circle en Microsoft, een nieuw Digital Research Environment (DRE) dat de huidige uitdagingen van medical research het hoofd biedt. Denk hierbij aan veilige en 'compliant' opslag, herbruikbaarheid van data en wereldwijd samenwerken met researchers in een research workspace met de tools van hun keuze. Radboudumc nodigt andere onderzoeksinstanties zich aan te sluiten. Tijdens de presentatie zal Wilco Turnhout, CCO bij Rapid Circle, dieper ingaan op de challenges waar medische researchers tegenaan lopen als het gaat om gebruik van ICT ten behoeve van research. Voor Radboudumc is de DRE de oplossing voor die uitdagingen. Maar op lange termijn is volgens Radboudumc dit platform alleen succesvol als meer onderzoeksinstanties meedoen en aansluiten. Wat is de DRE precies? En hoe kunnen andere research instituten hier gebruik van maken in de nabije toekomst? Deze vragen en meer zullen allen aan bod komen tijdens Wilco’s presentatie op de Zorg & ICT Beurs op 13 maart in Jaarbeurs Utrecht. Ben jij aanwezig op de Zorg & ICT Beurs en wil je dit seminar bijwonen? Klik dan hier! For those who haven't heard of Microsoft Teams (Teams) yet, I'll start a brief description first. Teams launched in 2016 and since then it's THE fastest growing platform in Microsoft's history. It's used for collaborating and driving digital transformation within organizations. 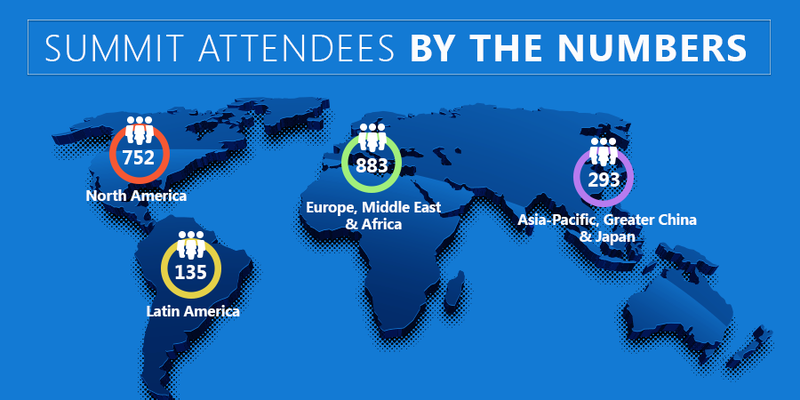 Globally 329.000 companies are using Teams, 87 of which are Fortune 100 companies. Furthermore, Teams now supports over 44 languages and 54 customers have over 10.000 or more active users. Although Teams has Skype-like functionalities, it has much more features and capabilities. Are you impressed yet? If not, than you will be if you look at all the new functionalities since it has been launched and those that are planned for the future. Want to have a look for yourself? The roadmap can be found over here. During Microsoft Ignite 2018 Microsoft has announced that Teams is now up to par with SfB when you look at features. All features from SfB are now in Teams. But of course Teams brings you much more than SfB. For example, Teams gives you the possibility to share documents within a (collaboration) group, use channels to group your conversation based on specific topics, connect to other (third party) applications both for ingoing and outgoing data and much much more. To put it in perspective, SfB is an application for communicating and Teams is an application for collaborating. Looking at all the features Teams has to offer it's much more than just another application organizations can use for their communicating. Teams will be the 'Hub' for collaborating with people from inside and outside your organization and when it's combined with Flow, PowerApps and Power BI this application can also be used to digitally transform outdated, costly and time-consuming processes and workflows within the organization. All these applications are readily available within the Office 365 or Microsoft 365 stack, so no extra investments will have to be made. For example, there's one case at the biggest airline from the Netherlands where Teams helped employees be more effective and decisive in their day-to-day tasks. Using Teams, Flow and PowerApps a flight attendant was able to make a picture of a broken trolley wheel via the Teams mobile application. The picture was then used to assess the problem automatically and to present the flight attendant with a protocol for fixing the issue. Pretty nice right? 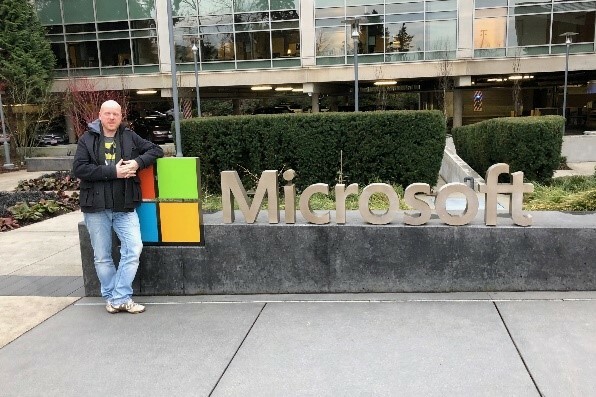 Over the last year Microsoft has been working on making Teams ready from a technical/functional perspective as well as creating materials for clients and partners for the upgrade process, which can be very helpful for planning and upgrading to Teams. It's divided into two categories: Basic and Pro. Furthermore, additional content and assistance can be provided via Microsoft’s FastTrack program. You can contact Rapid Circle for this, since we are a Premium FastTrack Partner. Two very interesting things Microsoft did was to make the co-existence management very easy for IT admins in the newly created Teams Dashboard and improve in-client experiences for both Teams as SfB users. Regarding co-existence management for IT admins, they made it possible to easily upgrade all users to Teams or just a couple and provide in-client notifications to users. It's even possible to revert the upgrade in case the situation request this. So there's no harm in upgrading, if wanted the upgrade can be reversed. In simple, it reduces the Employee Effort for working with digital tools. When your organization decides to upgrade to Teams it's crucial to not only do the technical upgrade but to also help your end-users with this transition. As I discussed earlier it can, and believe me it will, bring a cultural change as well. To make sure this change is successful and aligned with organizational goals it's imperative to involve end-users in the beginning of the process in order to gather requirements, specific use scenario's, align on technical limitations and/or prerequisites and to create overview of the knowledge need for end-users. So enough introduction and preparation talk, let's talk high level a bit about which steps need to be taken during this upgrade process. First of all, start with getting all project stakeholders in one room. Yes, i know this isn't the easiest thing to do, especially in larger organizations. You can start by inviting representatives per stakeholder and take it from there. But it is crucial to align all potential parties on the upcoming change. Start defining the project scope together with the project stakeholders. The rule of thumb here is: Start SMALL and build up from the base iteratively. The primary goal needs to be a 'simple' upgrade. Get employees acquainted with the application and it's numerous possibilities. Once 80% of your employees have adopted Teams successfully you can start adding new functionalities and build custom workflows for outdated processes. As you can see in the overview listed below the technical and user readiness is a parallel exercise. The goal for this phase is to make sure your entire organization is ready for the upgrade. For example, what steps need to be taken to update the current (legacy) Cloud Video Interop hardware in conference rooms? Which new skills and/or knowledge is needed to make use of Teams more effectively. And so on so on. Always start with a Teams-pilot in a small(er) group before upgrading all your employees to Teams. During multiple Teams-pilots we've done at clients, the pilot gave project stakeholders valuable information. Without this information the roll-out to the rest of the organization could have never be as successful as they were. After the pilot is completed you can start by upgrading the rest of the employees in groups/batches/phases, however you want to do it. It's not best-practice to upgrade at once for larger organizations. This phase is the one where it gets really interesting. I previously made some comments about starting small with the upgrade to make sure Teams is adopted by your employees. Only when the adoption rate is at the desired level you can start adding more functionalities and digitalize current workflows or processes. If you start earlier it can have a negative impact on the rate of adoption and overall success of the project. So again, start with the basics. So when reading all this has made you interested in upgrading to Teams or if you have any additional questions, don't hesitate to contact me at Rapid Circle. We can always set up a conference call via Teams to discuss the specifics.